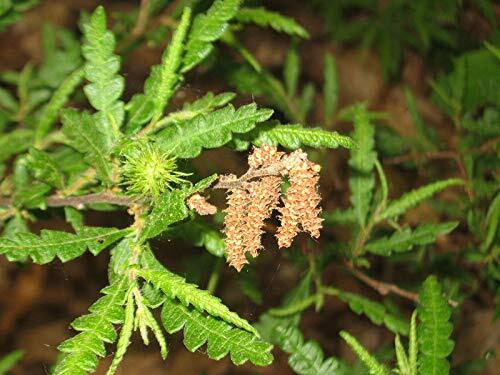 22 Seeds of Comptonia peregrina, Sweetfern, Sweet Fern, Sweet-Fern by IM WAODE at Black Ant King Plus. Hurry! Limited time offer. Offer valid only while supplies last. Scarification: Pour boiling water over seed , let stand in water for 24 hours. Germination: sow seed 1/16" deep, tamp the soil, mulch the seed bed. Other: Sporadic germination may occur over a 2-3 year period. If you have any questions about this product by IM WAODE, contact us by completing and submitting the form below. If you are looking for a specif part number, please include it with your message.